Solutions are number one with me in my design approach. I was doing mostly postcards, ads, logos, etc. in my graphic design business a few years back. I could complete each project quite quickly and so it meant I was quickly in need of new design problems to solve! An entrepreneur friend of mine suggested I look for leads at a networking event in Westport, CT, near where I live in New Canaan. So I went. That is where I met Hank Berkowitz of HB Publishing & Marketing Company, LLC. While I gave him my business card and learned a lot from the presenter that day, I thought nothing would come of it. I got an email from Hank asking if I could work with him designing books and whitepapers he was helping to write for clients in the finance industry. I said, “of course!” But it meant quickly getting up to speed on that kind of long-form design I hadn’t really done since my Annual Report days early in my career. 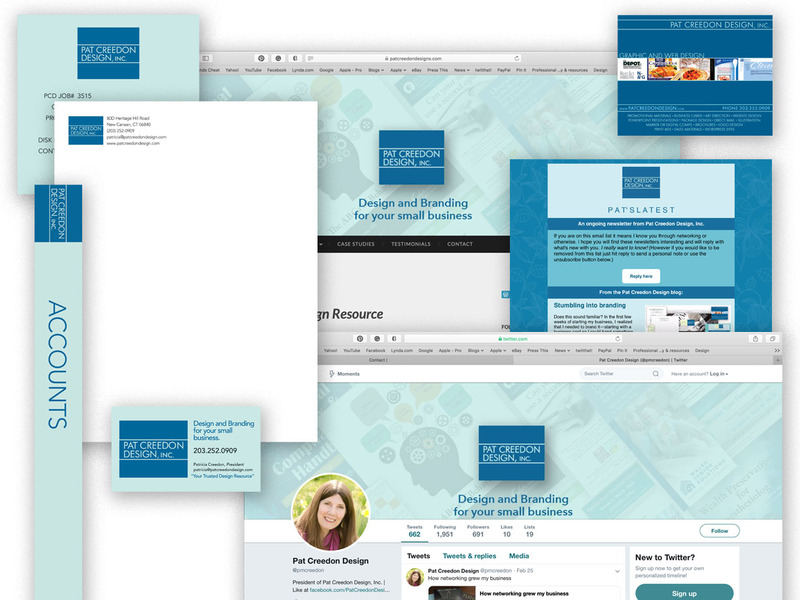 I found online courses covering the specific challenges involved and learned from some of the best book designers around. Hank proceeded over the years to send me many good referrals from prestigious Wealth Managers and well-known CPAs all over the country! I found that I love these projects and working with this type of highly motivated client. I developed a twenty-step process to take the final manuscript in Word to the design I create in Adobe InDesign. Some are white papers of 20-30 pages. Others are hardcover books of as much as 200 pages. Some the author then sells online, while some books and white papers are given away. Providing the exciting finished product to these professionals who had dreamed of publishing a book, sometimes for years beforehand, is a great satisfaction to me and is why I’m glad book design is a growing specialty of Pat Creedon Design, Inc. And now, whenever I think a networking opportunity won’t amount to anything, I just remember how going to that one event years ago turned out! Let me know how networking has helped grow your business. Or if you haven’t found that it works for you what does work for you?